We can all agree that getting a migraine is bad enough. Luckily if we can understand how our brain is reacting to stress, we can take measures to prevent the build up of getting so bad that we trigger one of these. In this article, I will cover 3 massive keys for ophthalmoplegic migraines. Ophthalmoplegic migraines have actually been reclassified and are no longer labeled as a migraine at all. But for the purposes of this we will use the term ophthalmoplegic migraine. These symptoms usually come on slowly and present similarly to a migraine except the paralysis of the eye muscles and after affects can last for days or even weeks before returning to normal. The eye symptoms have been known to take 14 days to develop after the actual headache. Any signs of a new set of symptoms similar to ophthalmoplegic migraine are considered an emergency as they could be an aneurysm or brain tumor. 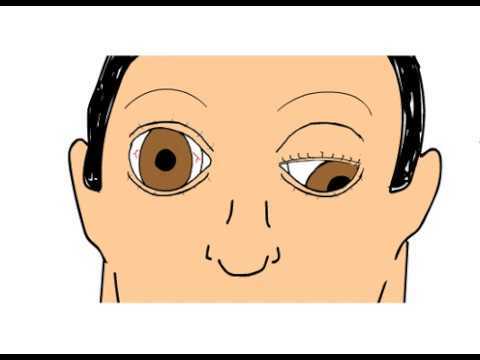 Watch this video for a representation and description of an ophthalmoplegic migraine. Most patients recover from symptoms within days to weeks but some have permanent neurological deficits. What treatments are used for ophthalmoplegic migraines? It is crucially important that you get an MRI to rule out anything more serious as having an ophthalmoplegic migraine like episode may be something much more serious. Once that is ruled out the standard route usually uses steroids and patients have been found to respond well to them. But we also want to support the brains metabolism, reduce inflammation, bring down our trigger levels and improve our brain’s ability to deal with stress. How do we understand ophthalmoplegic migraines? Ophthalmoplegic migraines are rare, newer and not very well understood. Because of their rarity, there isn’t much information available to pull from. But when we can look at the body as one interconnected organism and understand the different pieces that are available, we can develop some keys. So what we are seeing is that the cranial nerve that connects to the affected area which is usually the eye is getting thicker where it exits the brain stem. This furthers our understanding that the affected eye nerve is thickening because of a possible inflammatory process that is causing the nerve to unwind and rewind. And this problem is coming out from the brain stem. So we want to support the brain stem, reduce our trigger levels and reduce inflammation. These are the three keys. This applies to migraines as well as other inflammatory and “flaring” conditions. Our trigger level is the sum total of all of the stress put onto our bodies from things like hormone imbalances, environmental stress, mental/emotional stress, food sensitivities, physical imbalances etc. All of the individual stresses get summed up in the body, creating our trigger level. Our threshold is the sum total of all of the resources and ability to cope that our body has with all of the stresses going on in our lives. If our trigger level goes over our threshold to trigger, we will trigger. Simple as that. So the goal is to stay well below our trigger level, the lower we can stay the better we will do with sensitivities that get created toward the top of the trigger level like light, weather and sound sensitivity. This means reducing all of the stresses going on and increasing our body’s ability to cope with them like getting enough sleep, eating high-quality nutrients that reduce inflammation and add antioxidants, maintaining alkaline urine, regular moderate exercise levels, proper breathing patterns etc. When we can reduce the total stress load and increase our body’s tolerance for stress, we can live much happier and more pain-free lives. Since ophthalmoplegic pain is related to the brainstem we need to understand and fix strain that can go on in the brainstem. It is called this because it doesn’t have much of the emotional or higher thinking functions of the paleomammalian(limbic) or neomammalian(cortex) brains. See the picture below for the three brains. This old part of the brain is focused on maintaining all of the basics of survival. It wants you to find safety, sustenance, and procreation. These are the most basic functions of nature and are the most deeply ingrained into our functioning. Then everything else falls apart. So absolutely first and foremost we need to create safety and security in our lives and we need to make sure we are eating good quality food and water without scarcity. This means we need to live in rest and digest mode more than we do in fight or flight mode. Whenever our safety, security or sustenance gets threatened or we even feel or perceive it’s being threatened, our body will turn on all of its resources because it thinks we are in danger. The problem is that this will use up all of our resources, turn off our ability to rest and repair and compromise our digestion, leading to a cascade of problems and high trigger levels. We want to cool any of that stress, it doesn’t do us good and most likely any stress that we are feeling, we initially used as a way to make ourselves do something. But stressing about things will create more problems than it is worth so instead we can just recognize it, recognize the emotion and create a simple logical path to resolving and relieving it. We have to find a way to live in “rest and digest” mode or our brain stem and fight or flight mode will continue turning on and trigger a huge release of resources we can’t afford to lose. This means finding safety, security, and sustenance of your mental, physical, emotional, dietary and spiritual needs. Start with where you are and use what you’ve got. Inflammation is implicated in every disease known to man and inflammation is the brain fire. But it has a cousin that it always comes with and that is oxidation. Oxidation is a process where chemicals that are very reactive take electrons away from normal functioning chemicals, causing them to get damaged. The simplest form of oxidation is when you cut an apple in half and leave it out. Oxidation is what makes it turn brown because the air is reacting with the apples exposed tissue. This process of inflammation and oxidation is well known to play a part in the brain, leading to the breakdown of how the brain is functioning. High trigger levels mean oxidation and inflammation. The brain stem feeling like it isn’t safe and secure means our body will go into stress mode and burn up resources. Loss of these resources mean we get a very low threshold to trigger. We have to stop this cycle as soon as we can. Stopping the cause is the most important and in the brain this often means lowering total stress levels from mental and emotional causes, lowering environmental stress from things like blue light and electromagnetic fields, and lowering food and gut-based stress. Luckily, the same things that stop inflammation and oxidation help us support our anti-inflammatory and antioxidant systems. It’s one of the most important factors in migraine and brain pain. But we want to avoid high sources of sugar or too much fat. Especially the oils. Vegetable oil, palm oil, canola oil, soybean oil etc are all incredibly toxic for the brain and this is one of the many reasons processed and packaged foods are a no go. See the migraineur food pyramid for more information on food. This means lots of vegetables cooked in a variety of ways in all of the different colors. Each method of cooking unlocks different nutrients out of the plant cell and each color of food has different antioxidants. Eat only wild and pasture raised meats as conventionally raised meats are highly inflammatory. Lots of inflammation means one of the first things we need to do is stabilize blood sugar. For a list of blood sugar snacks see our post on the Top 10 super simple blood sugar stabilizing snacks here. As we develop a better sensitivity to the foods that our body is asking for and can differentiate them from the foods we are getting cravings for because of imbalances we will be able to better support the anti-inflammatory and anti-oxidant systems in our body. Food provides the building blocks for our brain either functioning well and being able to carry out its daily tasks or getting choked up with waste and creating the breakdown of nerve pathways. Even extremely neuro-degenerative diseases like relapsing-remitting multiple sclerosis have been reversed with the help of food so it should never be discounted. To understand more about how migraines are acting on your brain and actionable items you can do about them today see our post on intractable migraines here. Click here to join the migraine professional community because you want the most up to date and best quality information on the web for migraines here. Have you ever experienced an ophthalmoplegic migraine? How did it progress and what helped you? Let me know in the comments below and share with anyone who may be experiencing this as well.